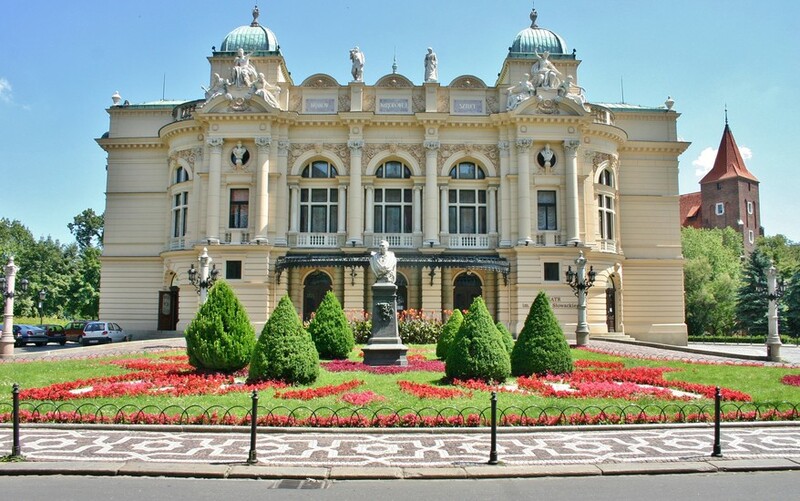 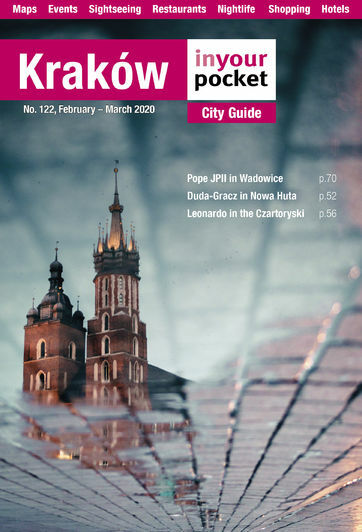 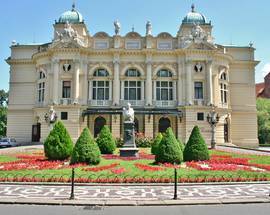 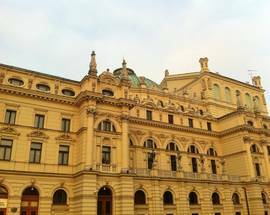 Regarded today as an architectural masterpiece, the Słowacki Theatre came under fierce criticism when construction began due to the demolition of the medieval Church of the Holy Ghost to make room for it - an act that drew the ire of local cultural bigwigs like Jan Matejko. 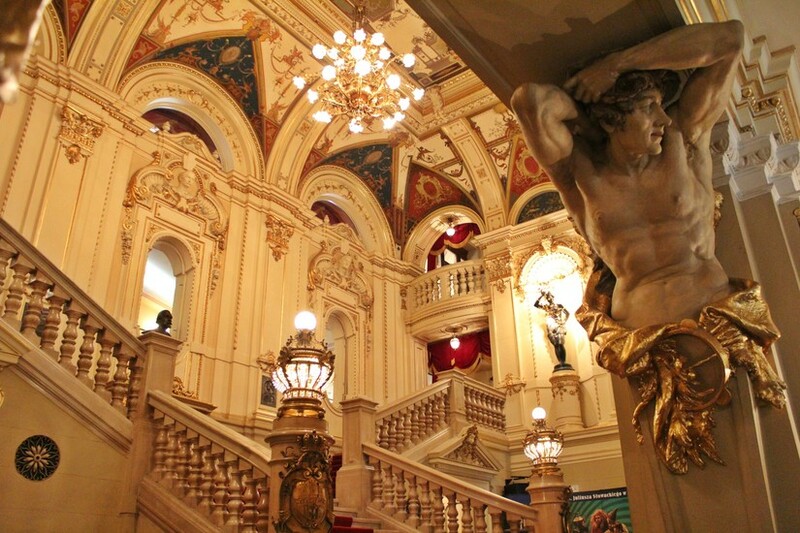 Though completed in 1893 during the height of PL's Art Nouveau movement, Jan Zawiejski modelled his design for the theatre on the Paris Opera and other classic European Baroque structures, resulting in richly elaborate facade decorated with allegorical figures. 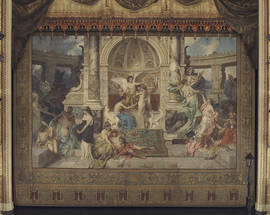 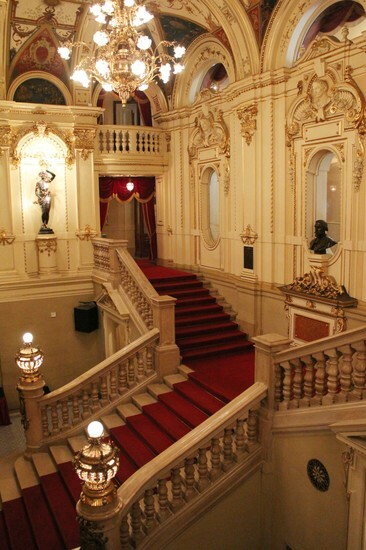 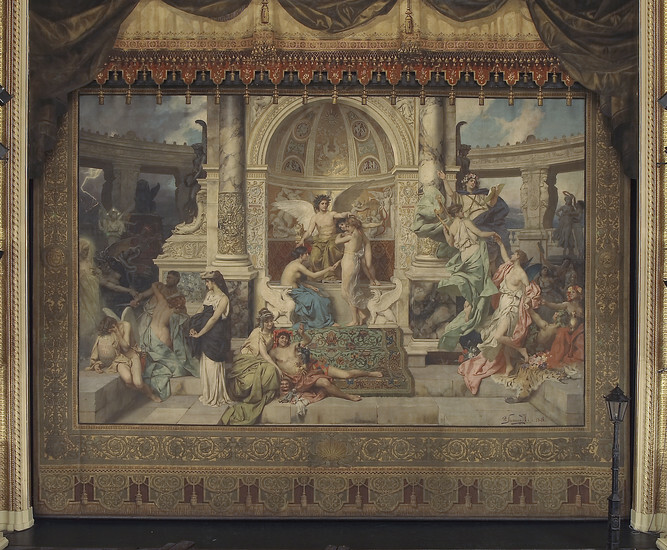 The foyer and marble staircase are supreme examples of fin-de-siecle thinking, and the stage curtain designed by Henryk Siemiradzki features beautiful paintings representing drama, comedy, music and dance. 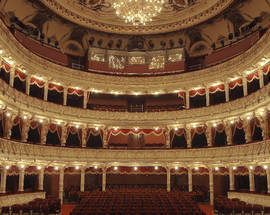 Poland's first cinema show was also held here in 1896. 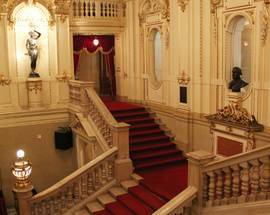 Open during productions only, generally the theatre is closed to visitors, except in July when guided tours in English are conducted every hour on the hour Thu-Sun 11:00 - 14:00; all you need to do is show up and pay 20zł, tour lasts about one hour. 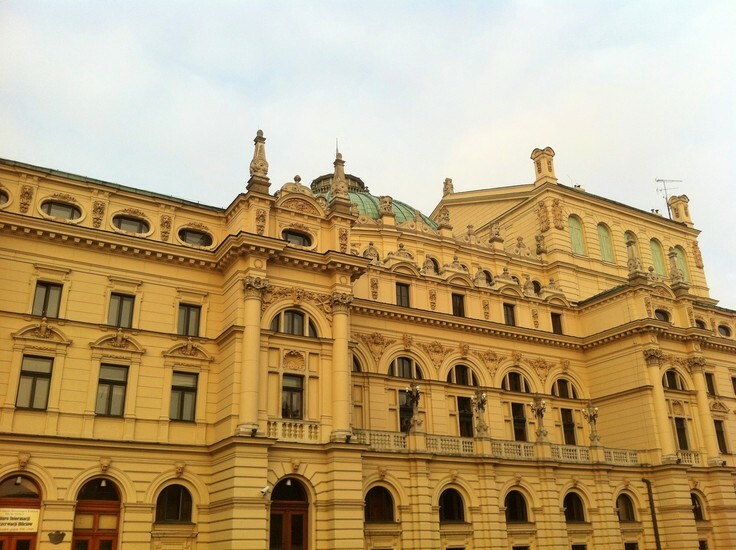 Outside of summer guided tours can be arranged by phone (150zł for up to 50 people). 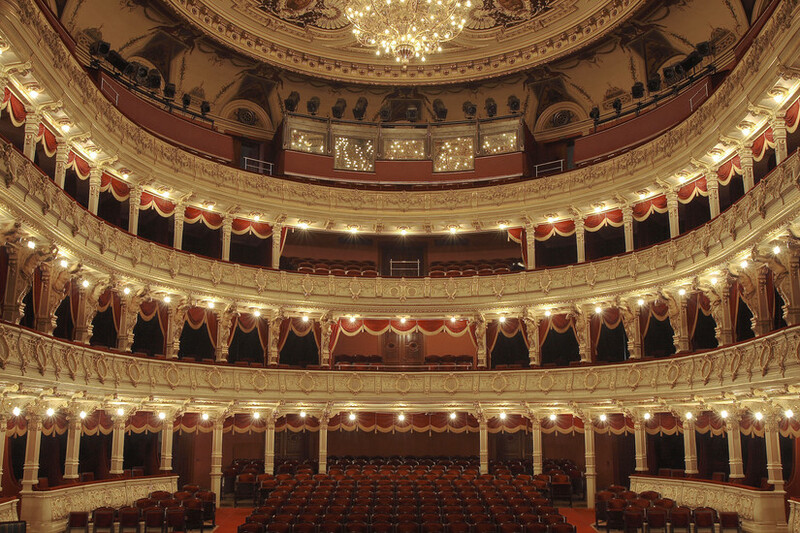 All productions now include English subtitles, and if you're willing to splurge you can book a VIP lounge with additional services for 500zł (four people max, Fri & Sat performances only). 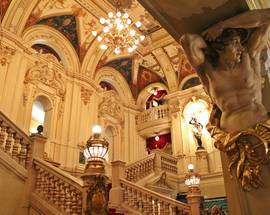 Box office opening hours are erratic so check their website.